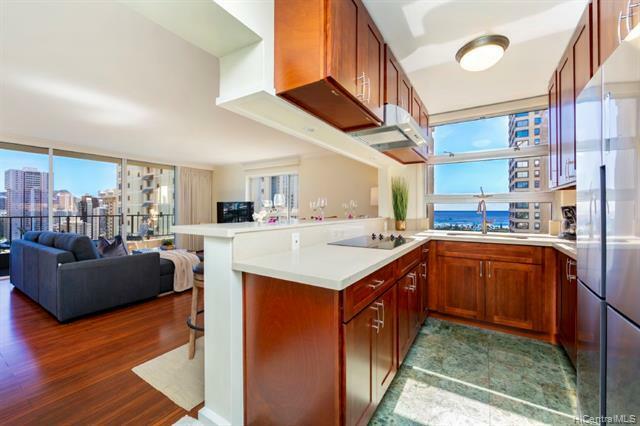 Stunning high floor island views at Royal Garden at Waikiki. 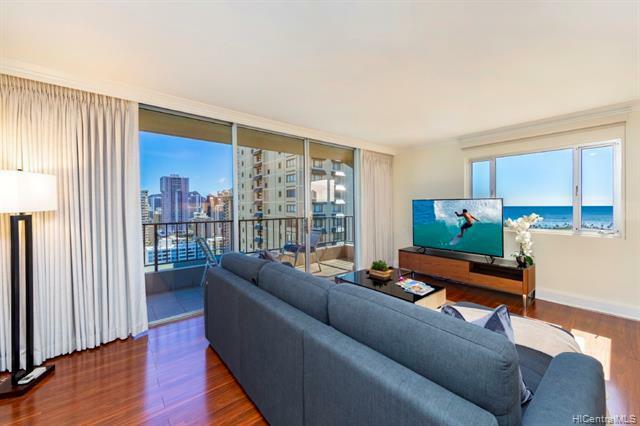 Beautifully remodeled in 2018, this sought-after end unit features 270-degree views from Diamond Head to Waikiki to Ala Moana. 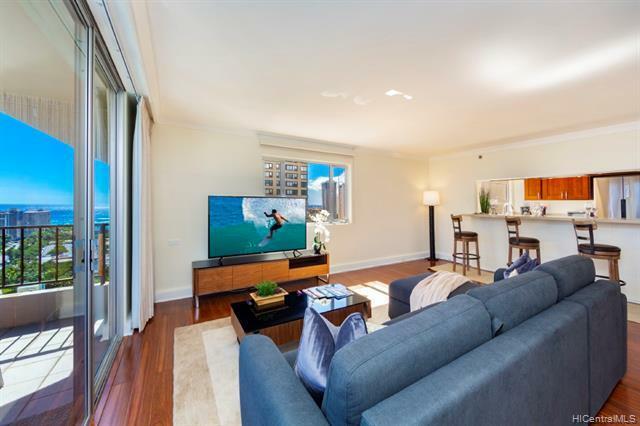 Hawaiiana-modern renovations update this unit to new heights; a spacious 2 bedroom, 2 bath, 1,244 sq.ft. open floor plan also includes two lanais equaling 189 sq.ft., creating 1,433 sq.ft. of indoor/outdoor living. Centrally located in Waikiki, dining, shopping, entertainment, water sports, and beach activities are all nearby. 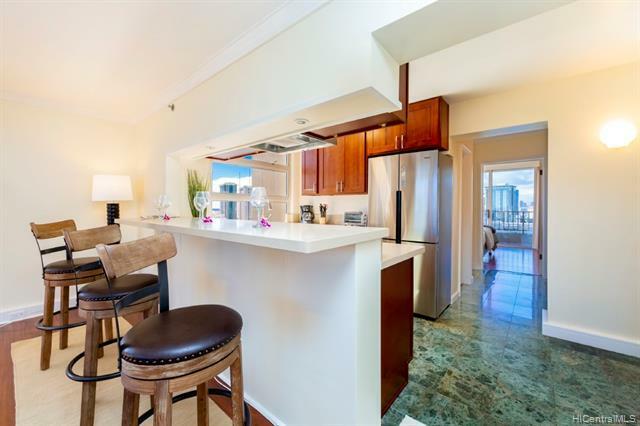 Island luxury meets Waikiki convenience at Royal Garden #2400.